Museums around Tuscany are banding together to create a unified system called “The Heart of Tuscany,” which will provide a new, affordable ticket that allows entrance into 21 galleries and is good for up to one year after the first entry, benefitting both locals and tourists who want to get a full sense of the rich culture of this area. For €15, visitors can purchase the Credenziale del pellegrino dell’ arte, or The Art Pilgrim Passport, that gives access to over 300,000 artworks by such names as Leonardo da Vinci and Benozzo Gozzoli. The ticket includes access to fine art exhibits including glass, ceramics, and traditional crafts, but is not valid for temporary exhibitions or special events. 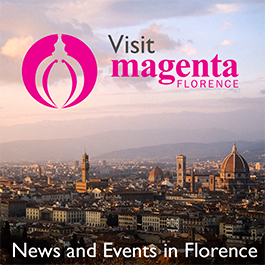 The initiative comprises 21 museums located in 11 different towns in Tuscany. This single ticket can be purchased in 17 of the 21 museums, and is a great bargain because the total entrance price to all these places can cost €52. Participating in this art pilgrimage is an invaluable way to experience the significant works during itineraries, while helping to promote each single museum. At the reasonable price of €15 for a single ticket and €35 for a family of five (two adults, three children), it is a great way for visitors and locals to gain a deeper sense of how these artworks define the cultural identity of Tuscany. This “passport” lays the foundation for an immersive experience, with the help of an audio guide app that explains and discusses selected pieces. People will not only learn about the artist and artwork, but the architecture, territory, and special traditions of the region. The mission of this initiative is to create cultural heritage itineraries over a large area. This new idea is meant to speak to a variety of audiences. The wide variety of museums have artifacts that satisfy most interests, like the Archaeology Museum of Montelupo, Museo della Collegiata in Empoli, and the Leonardo Museum in Vinci. For people interested in history, the Archaeology Museum houses many works found from the prehistoric times, but also historic ceramics. This museum has one of the largest collections of majolica, and the painted vases, plates, and other objects to represent some of the most detailed work from the Middle Ages and Renaissance. The Museo della Collegiata is popular because of its wide-ranging collection of Renaissance and Gothic religious portrayals. The religious art was rescued from deconsecrated churches and is now open for all people to appreciate. Some famous pieces, like Masolino’s Gothic painting the Pietà and Filippo Lippi’s masterpiece Maestà are just a few of the meaningful works present in this museum. In the Leonardo Museum, enthusiasts can rejoice over the genius of Leonardo da Vinci with modern models that demonstrate da Vinci’s vast knowledge of science and the natural world. On display are many devices created by da Vinci to help humanity better learn how to harness the energy of the elements. For book-lovers, people are able to visit the Leonardo Library and examine his studies. While these are just a few of the museums the ticket allows reduced admission to, the other museums are further proof there are attractions for all different interests and little-seen cultural assets can be praised for their unique qualities. This is the first phase in this experimental path, and more initiatives are expected to help create parallels between the different time periods. With The Art Pilgrim Passport people all over will be able to connect and learn about the important venues in Tuscany off the beaten path. 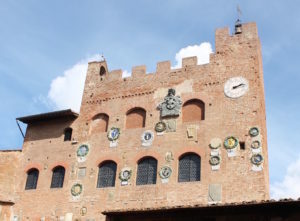 The unified ticket is available at Castelfiorentino: Museo di Santa Verdiana; Benozzo Gozzoli museum; in Certaldoat : Boccaccio’s House, Palazzo Pretorio; in Empoli at: Museo della Collegiata, MUVE Glass Museum and Pontormo’s house; in Montespertoli at: Museo di Arte Sacra, Museo del Vino; in Montelupo Fiorentino at: Museo della Ceramica, Museo Archeologico; Vinci: Museo Leonardiano, Leonardo da Vinci’s house among others.